Wheels Of Arabia (WOA), a Khalid Almoayed and Sons group company, today announced the acquisition of the Bahrain based Harley-Davidson® dealership. 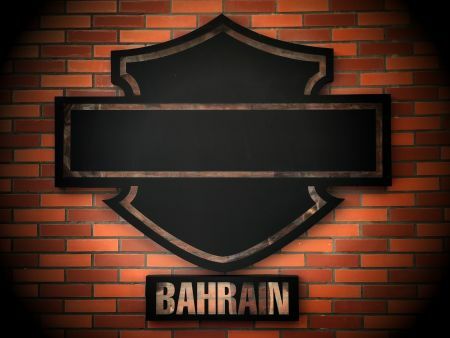 The inclusion of the Harley Davidson brand under Wheels Of Arabia cements the company’s position as a premier dealer of 2-wheeler brands in the region. Wheels of Arabia was founded based on a vision of providing customers with the experience of a lifetime on two wheels. Their products range from motorcycles, scooters, accessories, parts, safety gear, merchandise and service offerings, providing customers with a one-stop-shop for all the requirements. WOA currently represents some of the best brands available worldwide, including Ducati, Aprilia, Vespa, Moto Guzzi, Piaggio, MV Agusta and Gilera among many others and operates in Bahrain and UAE. ‘’Owning and operating a Harley-Davidson® Dealership is a unique business opportunity, which we are pleased to take up. Our existing expertise in two-wheelers definitely gives us the edge in handling this brand. We are very excited to have Harley-Davidson on board with us and we look forward to developing its presence in the region’’ said Mr. AbdulRahman Almoayed, Director Wheels Of Arabia. Throughout the world, Harley-Davidson® unites people deeply, passionately and authentically. From town to town and country to country, Harley-Davidson®’s ideals of freedom and self-expression transcend cultures, gender and age. Being recognised as an iconic brand is gratifying, but igniting the fire within people on the many roads of the world is what the brand is all about. If you have already made your way to our store, take a few minutes to tell us about your experience at our dealership and Be Heard. These scores will be shared with both Harley-Davidson® Middle East and North Africa, as well as the Harley-Davidson® Bahrain dealership team.